Over the last couple of years, many cases have been reported against construction companies for the lack of safety measures for workers. And yet again, it has been noticed on many instances, the continuous thread of carelessness by such companies which endangers and at times have even killed many laborers who are sole bread-winners for their families back home. 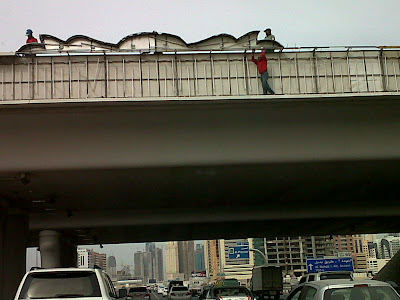 On 9th February 2012, while driving on the Dubai-Sharjah highway around noon which meant a heavy traffic flow between the two emirates, I encountered a shocking sight of a laborer dangling from a height of 15 meters or more on a bridge, fixing an advertisement board without any kind of safety harness. The question raised here is, why are the companies failing to imply by rules of safety; are these workers ignorant of the consequences or are naive enough to accept such dangerous work? or maybe they are pushed to risk their life to their daily wages? 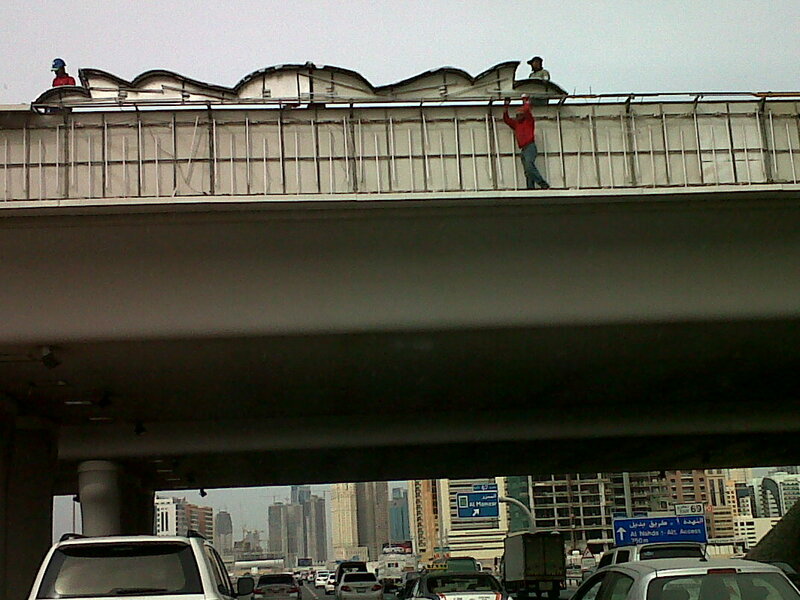 I strongly urge the authorities to seek compulsory safety measures for these hard working workers.